Paint the Town Blue with YDWA in Skagit County! 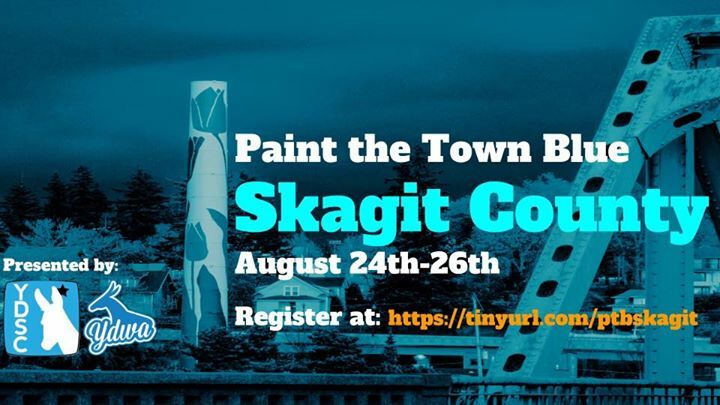 Join the Young Democrats of Skagit County and YDWA on August 24-26 for the latest #PaintTheTownBlue! Come enjoy canvassing, phone banking, elected officials, priority candidates, and much more! Only $25 for an incredibly rewarding weekend of action! Register today! With a midterm voter turnout forecast of 76% which will favor Dems who are more enthusiastic and motivated, there is a giant opportunity, and I believe that the outcome of this election,and future direction of our country is in the hands of women voters. (1) Do you approve of limiting a woman’s right to choose and do you want old men on the Supreme Court to rule on this uniquely women’s issue by overturning Roe v Wade? (2) Do you favor a health care system that eliminates pre-existing conditions and other changes designed to destroy our existing care system or would you prefer to make needed changes and updates? (3) Do you approve of an immigration policy that separates families at our border from their children and puts them cages? (4) Do you approve of a President who says. “I have fallen in love”, with a ruthless dictator who ordered the murder of his own brother and uncle, while letting hundred of thousands citizens die of starvation so he can build a nuclear arsenal? (5) Do you approve of a Administration who favors dictators like Putin and refuses to order a investigation of Russian meddling? (6) Do you approve of an Administration that ignores warnings about global warming and pollution, and sets about to dismantle the EPA and revoke sensible rules and regulations designed to protect the environment? The list can go on and on, but it will go nowhere until these questions are publicly and loudly asked. This is where high profile women leaders like Oprah and Ellen can reach out to women voters. The power of these leaders and others from the Women’s March and #Me Too has the potential to turn this midterm election from a Blue Wave into a Blue Tsunami.